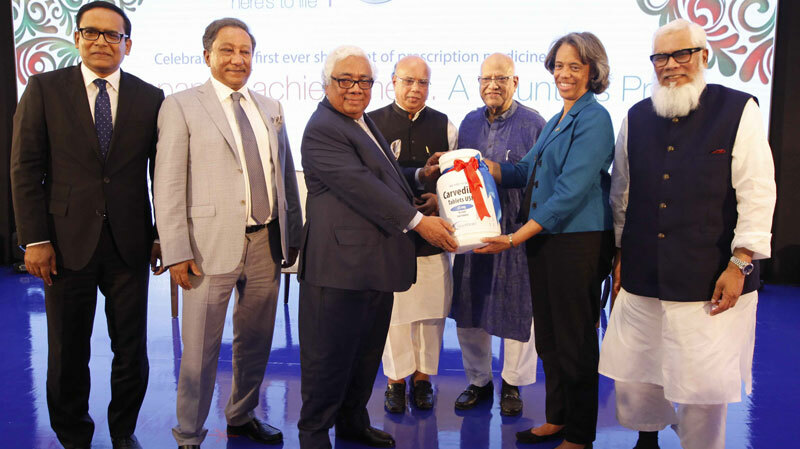 Beximco Pharma released a press release this morning announcing that the company is the first firm in Bangladesh to start exporting generic pharmaceutical products to the United States. This news was some time in the making since Beximco Pharma, also as a Bangladeshi first, already received US FDA approval one year ago. Apparently the launch was a big event in Bangladesh, with multiple newspapers reporting on it, and with a ceremony that was attended by the Finance Minister of Bangladesh and the US Ambassador in Dhaka. I don’t expect that this launch will have a major impact on the profitability of the company in the near term, but since the US is a huge market and Bangladesh a very cheap producer of generic pharmaceutical products it could become a sizable growth factor. I’m not really in this stock because of the growth potential, but it’s nice that it’s there. While the stock is up 12.8% at the time of writing this post the London GDRs are still trading at an almost 60% discount compared to the price of the ordinary shares in Dhaka. There is no catalyst in sight for this to change, but I think that the GDRs are simply too cheap not to own and in the meantime we get paid a reasonable dividend that doesn’t have any discount. This entry was posted in Portfolio and tagged BXP.L, BXPHARMA.BD on August 5, 2016 by Alpha Vulture. How do you get or buy it? Of course, this company isn’t actually making money allowing properly for capital costs (inflating at 8% compound or probably higher) needed to maintain unit volume. This makes me question the sustainability of that dividend. Granted that it is always difficult determining how much is growth capex vs maintenance, but it remains to be seen whether they can turn down the capex tap at their choosing without affecting long-run business prospects. The discount on its own is a solid reason to be excited. The big question is: Why does anyone buy this stock in Bangladesh when it is possible to buy it for 60% less in London ??? In Bangladesh, capital account is closed meaning Bangladeshis are not ‘legally’ allowed to invest outside the country. Yes, rich people do take money outside but they usually park their wealth in property. The GDRs are also fairly illiquid.